100 Year Old Weblog: JOHN W. SPEAS, LONG ILL, KILLS HIMSELF. ~ With Pistol and Poison Makes Sure of Death After Writing a Farewell Note. JOHN W. SPEAS, LONG ILL, KILLS HIMSELF. ~ With Pistol and Poison Makes Sure of Death After Writing a Farewell Note. After writing a brief farewell note to his family, John W. Speas committed suicide yesterday morning at 6:30 o'clock in a bedroom at his home, 1028 Summit street, by drinking carbolic acid and shooting himself. Mrs. Speas, who was in the dining room downstairs, hurried to the bedroom when she heard the report of the revolver, and found Mr. Speas prostrate upon the floor. She summoned the family physican, Dr. R. T. Sloan, who said death had been instantaneous. Before firing the fatal shot, it is believed that Mr. Speas swallowed the carbolic acid. According to the deputy coroner either method would have resulted in death. 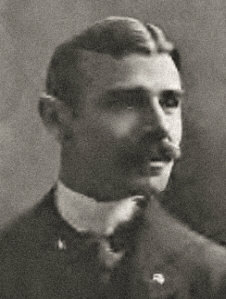 Mr. Speas has been an active member of the Commercial Club for a longer period probably than any other man in it, and once refused the presidency. He was active in the building of the first Convention hall, and also was conspicuous in the work of reconstructing it after the fire. As a member of the Commercial Club he was looked upon as the most popular active worker. He was president several years of the Priests of Pallas, and a member of the board of directors. Mr. Speas was a native of Missouri. He came to Kansas City at the age of 10 years, and for several years sold papers, and later carried a paper route. He studied bookkeeping at Spalding's Business college, and then allied himself with the Kansas City Distilling Company. Much of his business career was interwoven with that of E. L. Martin, president of the distilling company. Later Mr. Speas became interested in the Monarch Vinegar company, and eventually became the sole owner. An enthusiastic baseball fan, he identified himself with National League in the '90s, and for three or four years owned or controlled the franchise in Kansas City. He was a member of the Masons, Elks and Mystic Shrine. Mr. Speas was born on a farm near Kansas city, October 18, 1862. In 1884 he married Miss Evelyn Southworth. Besides his widow he leaves one son, Victor Speas. Continued ill health of three years' duration is believed to explain his suicide. The pallbearers for the Speas funeral, which will be held Saturday morning, are F. A. Faxon, L. W. Shouse, E. M. Clendening, William Barton, J. C. Schmelzer, D. P. Thompson, F. S. Doggett and W. H. Holmes.